Free Shipping - The Disposable Spa Liners fits Episode LX whirlpool basin. Designed to work with Magnet Jet Pipe-less motors which detaches from the basin wall. Simply, remove magnet jet assembly then insert the liner then place the jet assembly back on the designated location on motor flange. 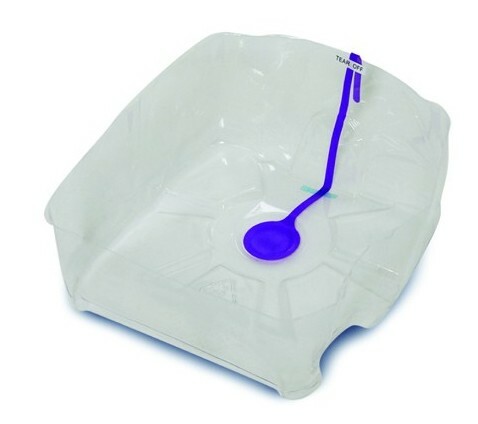 Pull purple tab to open drain hole and discharge water from the basin then simply discard the liner. Sold in carton of 100 pcs only.